Maialen Goirizelaia is a PhD student in the University of the Basque Country doing research on the Basque community in the United States. Last year, she spent a few months in Boise, working on her research here, and she is now doing the same in Boston. 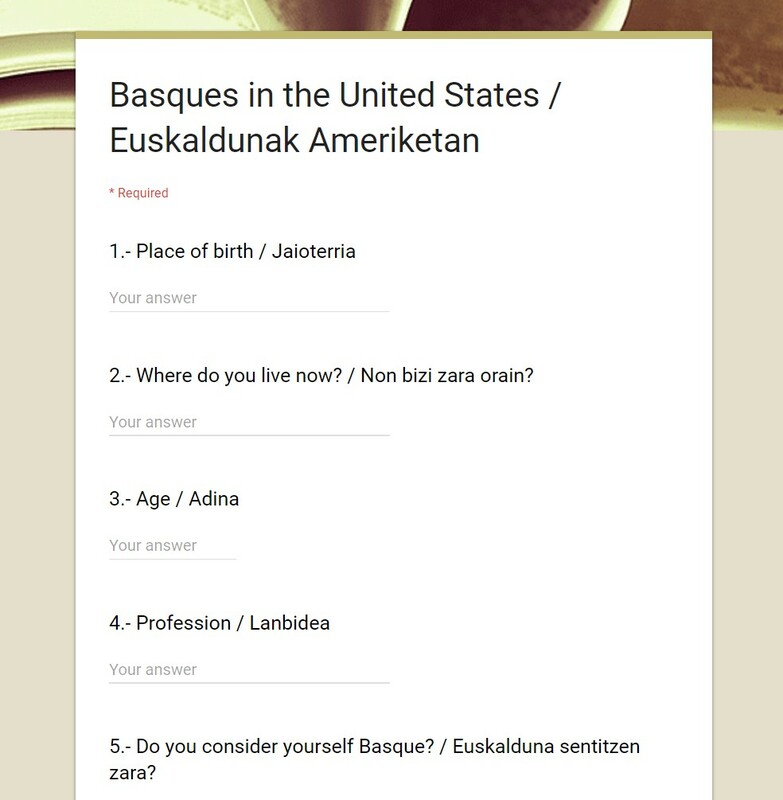 She is studying how the communication and relationship between the Basque Country and Basques living in the United States has evolved during the years, and the effect of Basques living here in the relationship between the Basque Country and the United States. She has been doing in-depth interviews in different parts of the States, but she would also like to have quantitative data. Because of that, she would really appreciate if you could answer this survey. Eskerrik asko! Yes! And it’s an amazing thing you guys are doing in Nevada. Glad I got to meet you guys! My father, Sebastian Jose Michelena was born in Oyarzun, Guipuzcoa on March 17, 1900. He came to American in 1919…final destination Buffalo, Wyoming where his brother, Santiago Michelena was. Myself, Kathleen Grace Michelena am the 3rd oldest of 12 born to my father, Sebastian and Anna Patricia Kraen Michelena (whose parents were both born Austria). My father did return to Sunbill 3 time before he passed away. The first time almost 52 years after leaving his home. If you would like to know any further info e-mail me.